However, Sono Motors says that the panels can supplement the car's electric propulsion system. The company says the panels will add an extra 30km a day to the car's range in the European summer - that figure should be higher if the car ever makes it down under. 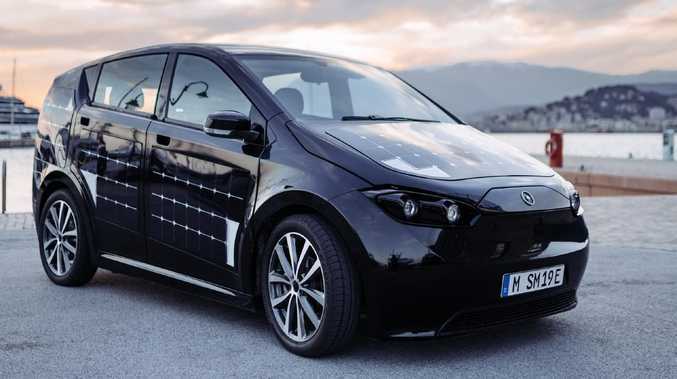 Sono Motors rates the panels' efficiency at 24 per cent which is better than most rooftop solar systems. 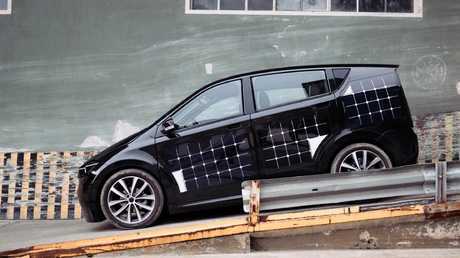 Panel beater: The Sion is covered in 330 solar cells. But Sono has also put the green in green cars. 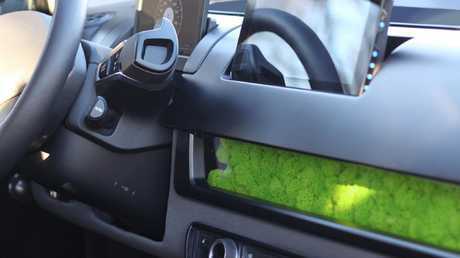 The start-up has integrated a "special moss" into the dashboard which acts as an air filter and a humidity regulator. If you don't have a green thumb, don't worry, it requires no looking after. Green tinge: The Sion uses moss as an air filter. However, a flood of new products is expected to hit Australia in the coming years. The Jaguar I-Pace lands in the coming months to take on the Tesla Model X, Audi's e-tron and the Mercedes-Benz EQ C electric SUVs are due next year. and the Porsche Taycan will force its way into local showrooms in 2020. Volkswagen will commence its assault in the same year.